A photograph of a view across the River Thames, taken by an unknown photographer, c. 1960. The photograph shows Lambeth Bridge in the foreground, with Westminster Bridge and the Houses of Parliament in the distance. A photograph of a view across the River Thames, taken by an unknown photographer, c. 1960. 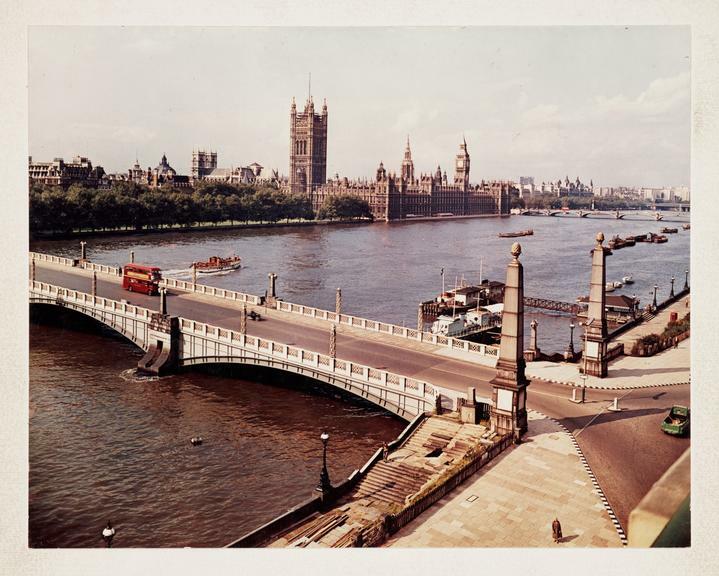 The photograph shows Lambeth Bridge in the foreground, with Westminster Bridge and the Houses of Parliament in the distance.